Two characters searching for a new home, a shelter, where to learn to manage the life’s struggles and each other. It is a simple story of everyday’s joys and problems: argues, agreements, disappointments, solutions and the little magical moments. The show adapts with the environment, whether it is an outdoor rig, an interesting building or a different culture, something unique is created in each place. The show starts from an empty space and ends up to be turned to a funny little home. There’s just a short time to settle in and soon there’s time to give a warm welcome to the guests. Homeles Moreles is a contemporary circus piece performed by artists Juha-Matti Eskelinen (FIN) and Grete Gross (EST). 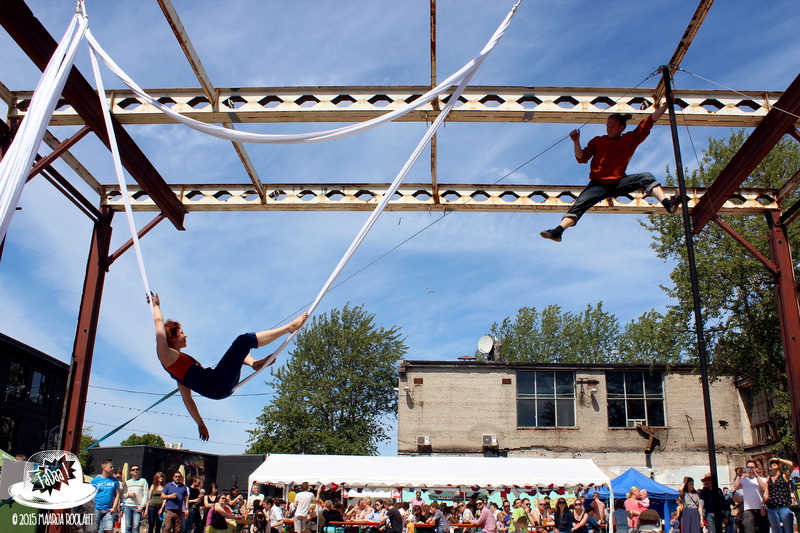 Show can be performed both indoors and outdoors, can also be played in parks, rigged to the trees. Suitable for all ages.